If you’re like most people… you love spending time outdoors. Hanging out with friends and family in your backyard, on the patio or around the pool. The popularity of fire pits, outdoor kitchens, outdoor furniture, fireplaces and more is a testament to that fact. Installing bars, refrigerators, sound systems or televisions in order to improve outdoor living spaces. 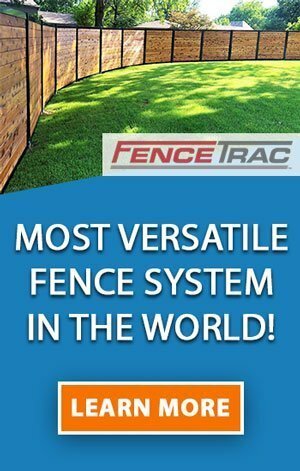 You need a great fence around your property. 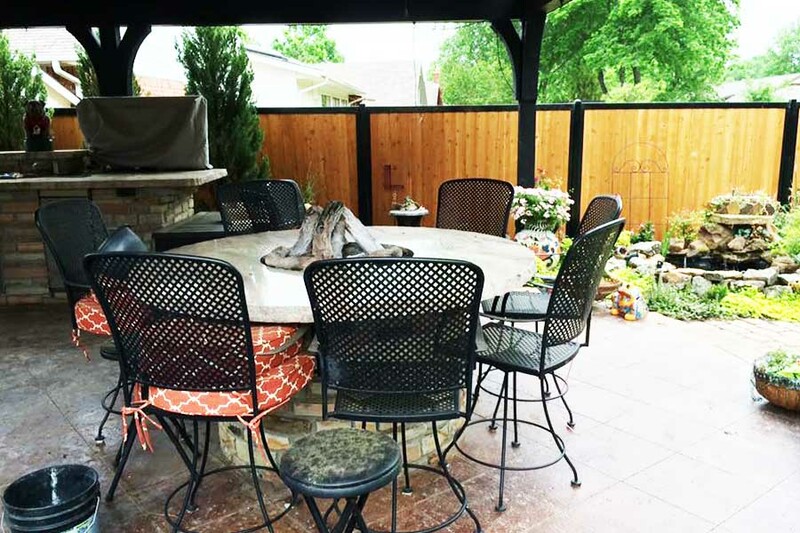 To offer privacy to you and your guests as you enjoy time together in the outdoors of your backyard. …just doesn’t fit the ambiance of homes in better neighborhoods. That’s why you’re here… looking for better ideas for your backyard fence. 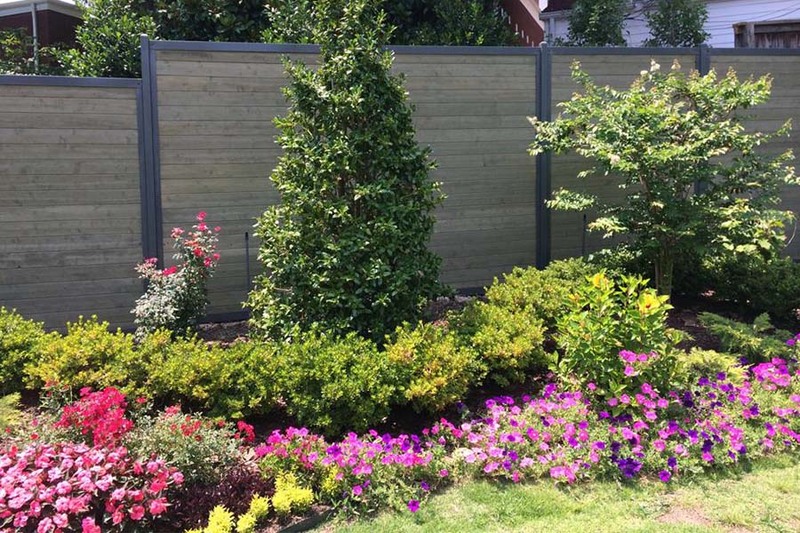 Let’s take a look at some privacy fence ideas for your backyard that not only provide function, but also add beauty to their surroundings. 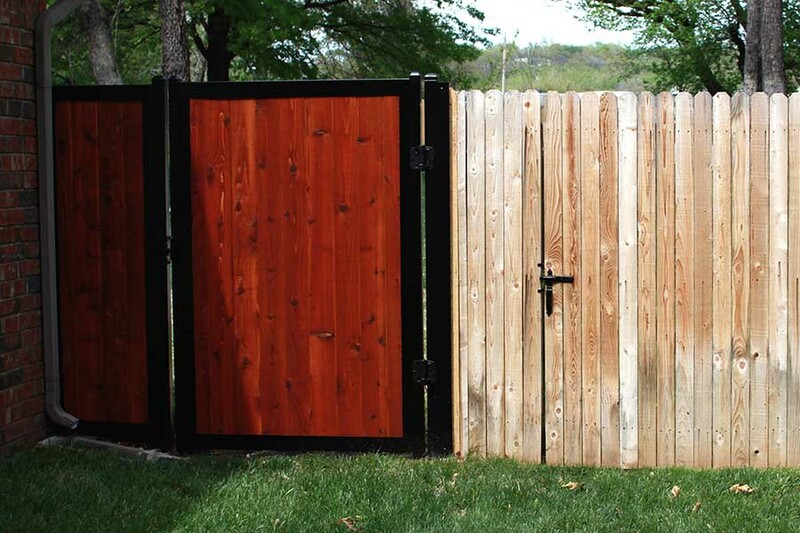 One of the best wood fence ideas ever… just add metal. Combining metal posts and frames with wood pickets for the interior of the fence gives your backyard fence a modern look. Steel or aluminum fence posts – combined with metal frame panels – provide strength and durability to the fence while wood provides visual warmth. 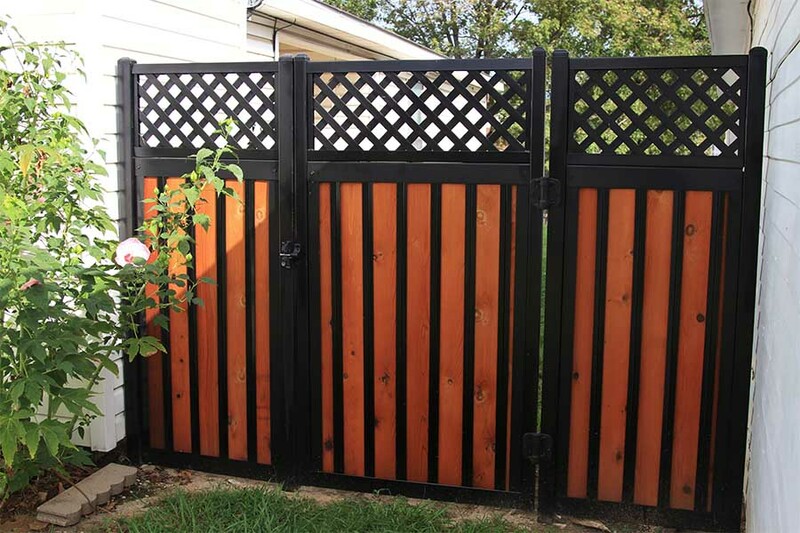 Additionally, colored metal and stained wood give your privacy fence a new dimension of beauty. 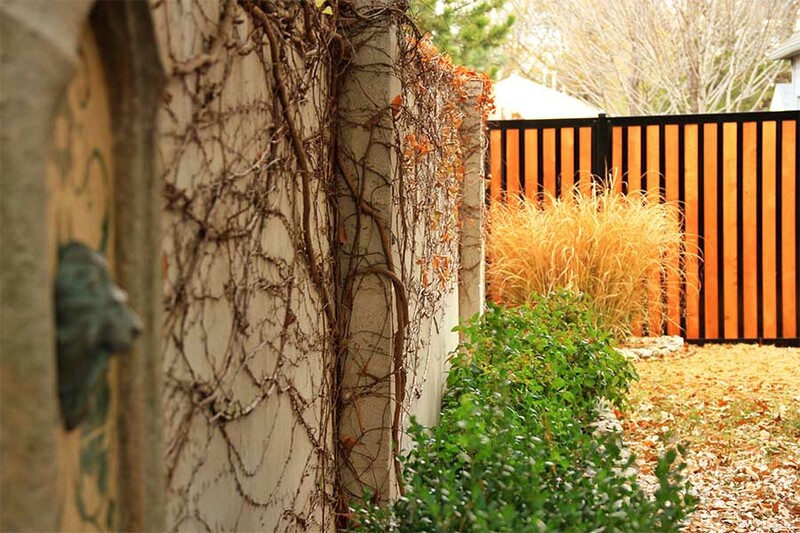 A horizontal fence is one of the most popular privacy fencing ideas for the modern backyard. Whether you use stained, painted, or natural wood or composite material – horizontally aligned fence pickets provide style and beauty. Using tongue and groove wood or composite pickets for your backyard fence will help your fence create full privacy by sealing gaps between boards. A metal fence framing system is the best way to install horizontal fencing. Think about unique fence panel materials that you could use. If your surroundings and décor are more in line with an Asian or tropical influence – or your yard is a garden oasis – why not build your fence using bamboo? 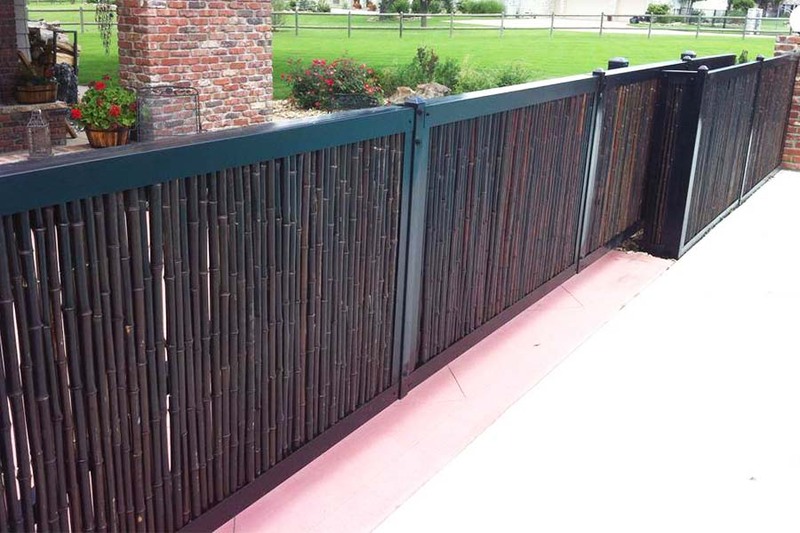 Combining metal posts and frames will provide long lasting durability to a bamboo fence. A little less private, but a lot more unique! 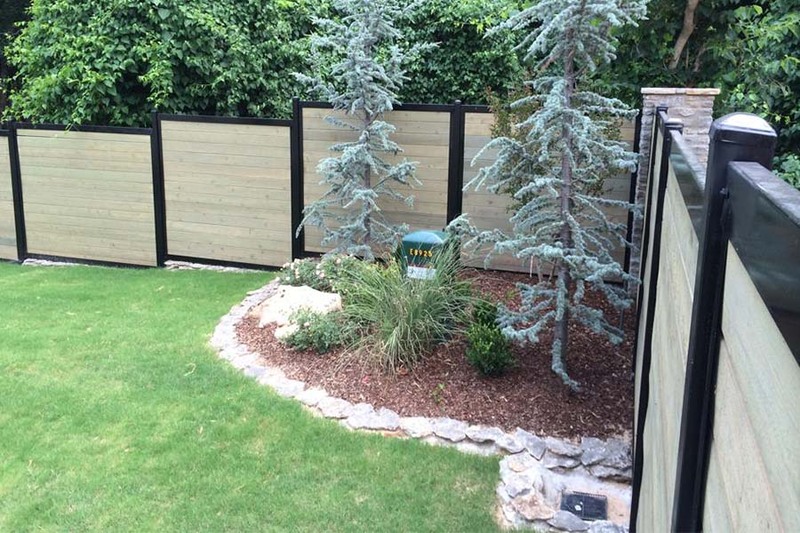 Wood is the most versatile of materials when building a backyard privacy fence. Woods that are resistant to the elements – like western red cedar – are always the best choice. Staining and/or sealing your wood fence enhances both the look and the longevity of your fence. Nowadays, there are nearly unlimited options for stain colors to coordinate with your back yard, house, furniture, garden, trees and more. 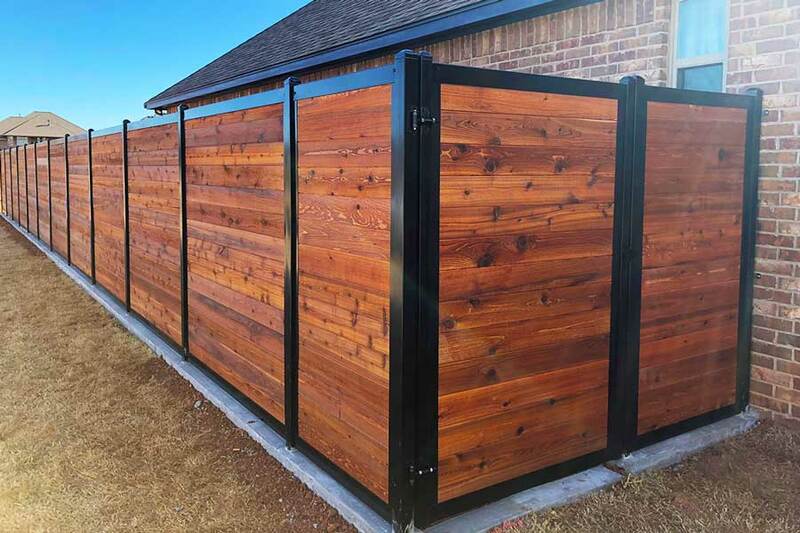 Iron or other metals combined with wood offer a unique mixture of customization to your backyard privacy fence. You could install an iron topper to the fence or an iron section to open the view in some areas. Or you could fill in the gaps in a normal black metal fence with wood. Wow. You’ve got an amazing looking fence. Going for an industrial look for your backyard fence design? 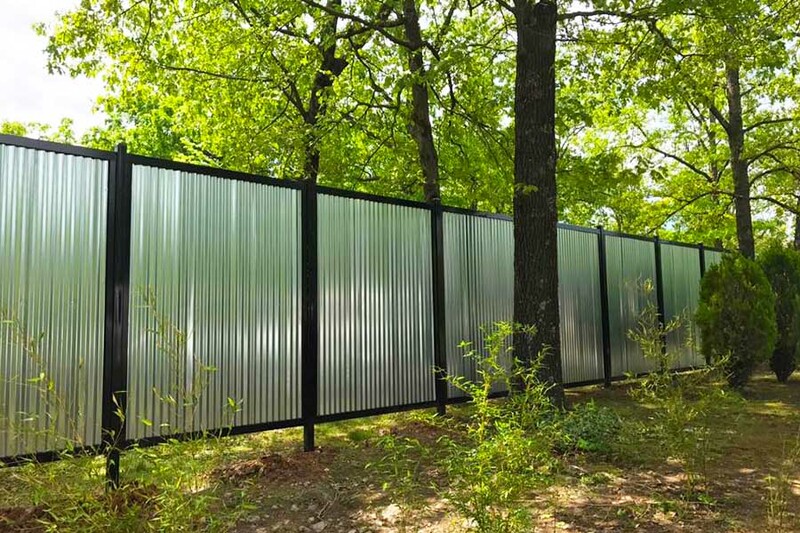 Why not use corrugated metal in your privacy fence plans! In addition to complete privacy, corrugated metal provides stability, style and strength to your outdoor living area. Unlike other fence material options, corrugated metal looks better as it ages, developing a rust and patina all its own. 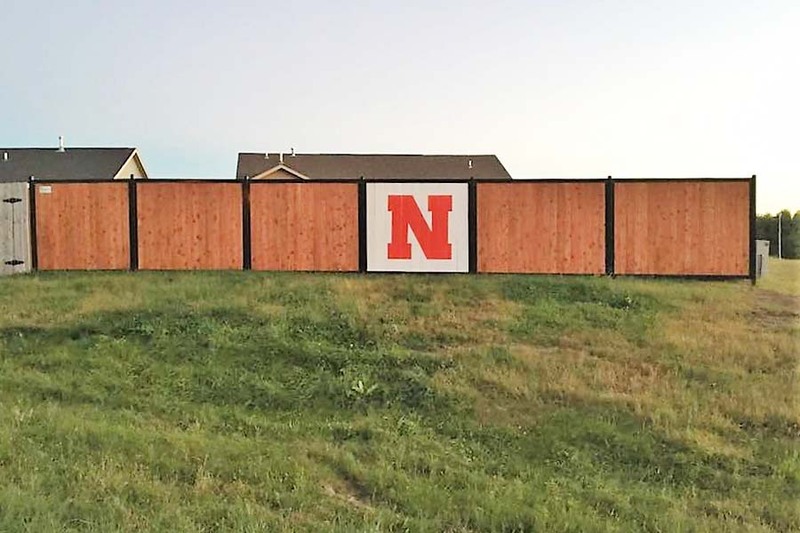 Why not show a little school pride with your fence? A painted logo or other decor can make it clear what you’re all about. If you’re not into big, bold statements about who you love on the field, you could settle for some lights or landscaping to jazz up the look of your fence. If you’re looking for an inexpensive option for your privacy fence, you might want to consider vinyl. For one thing, vinyl fencing is easy to install and can be purchased in pre-built panels. For another thing, there is a wide array of color options with vinyl. 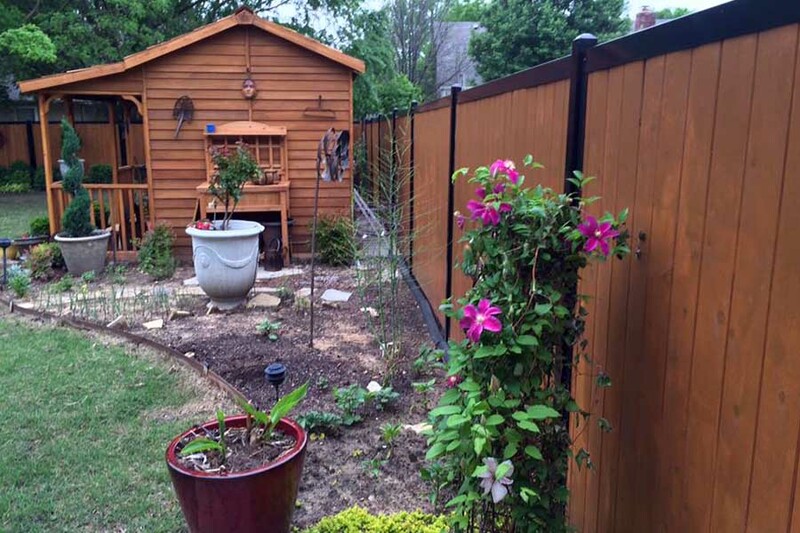 For a more durable, modern variation on the ordinary vinyl fence, use steel posts and frames for the primary structure with vinyl pickets for aesthetics. If you’re building your fence on a slope, you have two options. Build the fence to follow the angle of your yard. Or – especially when building a horizontal fence – you could stair step the fence. Gaps at the bottom can be filled in with rock, landscaping or yard contouring. In some cases, homeowners don’t want to fence in the entire property line of the backyard. They opt to install a shorter fence around outdoor living areas or features like a pool or spa. While the typical height of a backyard privacy fence is six or eight feet, small area fences might only stand four feet tall. Providing a barrier for dogs and small children while allowing for an open view to other areas of the yard. Small area fences can also function as privacy screens for patios, hot tubs, or other areas where privacy is desired. Fence gates are a great place to show creativity and style by utilizing variations of the fence you install. Ornamental iron, creative wood designs and combinations of materials are just a few ways you can enhance your backyard privacy fence with a stylish gate. If you’re on a budget and can’t afford to replace your entire fence, installing a short fence front with a new gate can give your home a fresh look. A gate framed with metal is beautiful and will help prevent sagging, wear and other issues that plague typical wood fence gates. The modern backyard fence should enhance the look and feel of its surroundings, while providing security and privacy. In the past, fence options were limited, but with modern materials – design options for the backyard fence are almost limitless. Once you’ve built your dream fence – one that offers privacy, beauty, security and style – consider ways to use your fence for more than just a barrier around your property. Whether you are looking to tackle a DIY backyard fence project. 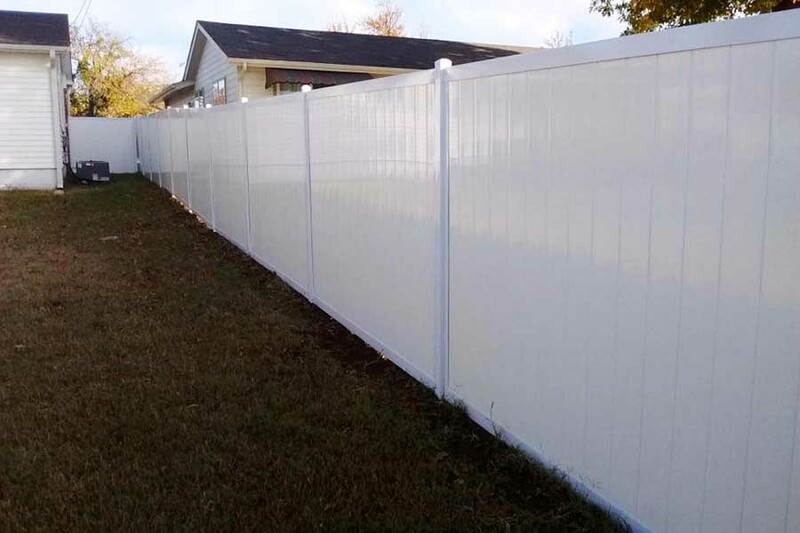 Or you’re planning to hire an expert installation company to install a more complex backyard privacy fence – consider your design options before starting the fence project. Also, think about things like longevity, durability, maintenance, ease of repairs. Careful consideration of the materials of construction can make a huge difference in how long your fence lasts and how it looks on your property. 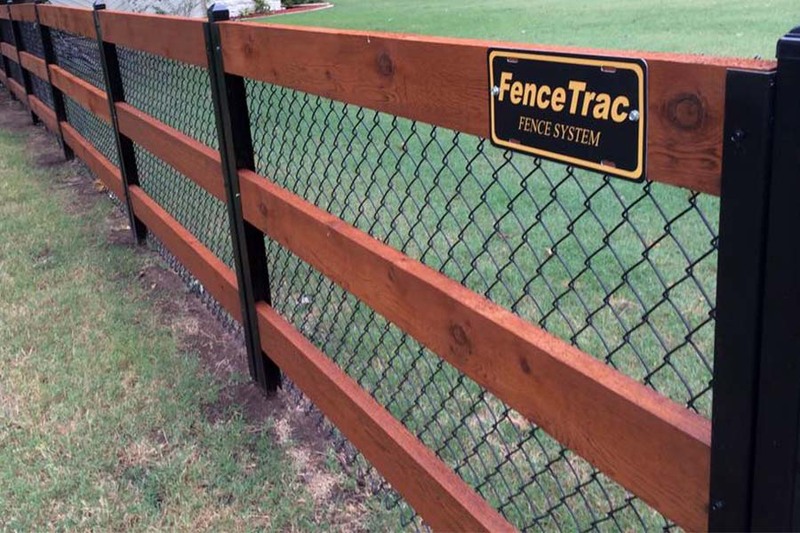 The fences shown in this post utilize FenceTrac – a metal frame fence system that helps you create the exact look you want for your fence.